I was lucky enough to spend spring break at my mom’s house visiting, and while my boys and their dad went skiing, us girls had sewing time! My sister came to visit, too, so it was extra special. Usually the three of us just quilt together “virtually” via text messages and phone calls. I spent part of our time together working on the X and + blocks for next Aviatrix medallion quilt border and got 16 of my blocks sewn. I decided on a pretty limited (for me) color palette for this border. 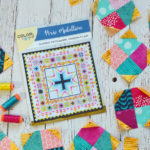 I have said before how much I like medallion quilts because each new border is like a new project, perfect for short attention spans and big imaginations! 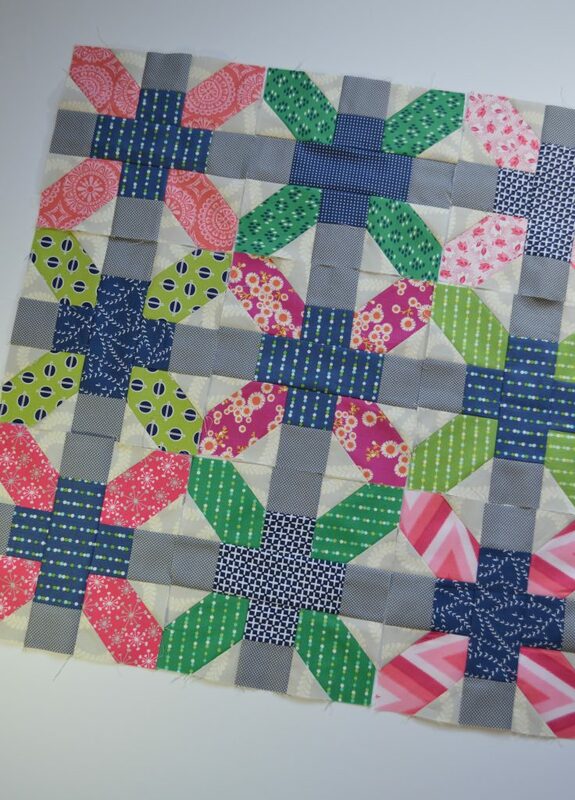 Now, I have seen lots of quilts made with these x and + blocks, but I have never made this block myself. I can now see why this is such a popular pattern! 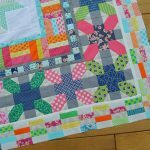 The blocks are pretty easy to sew and they pack such a great impact. They are fun laid out with the center of my Aviatrix and will eventually become the next border, but look how cute they look all by themselves. Playing around with these blocks shows how versatile they can be…so many ways to rearrange the colors and values to bring out secondary patterns. 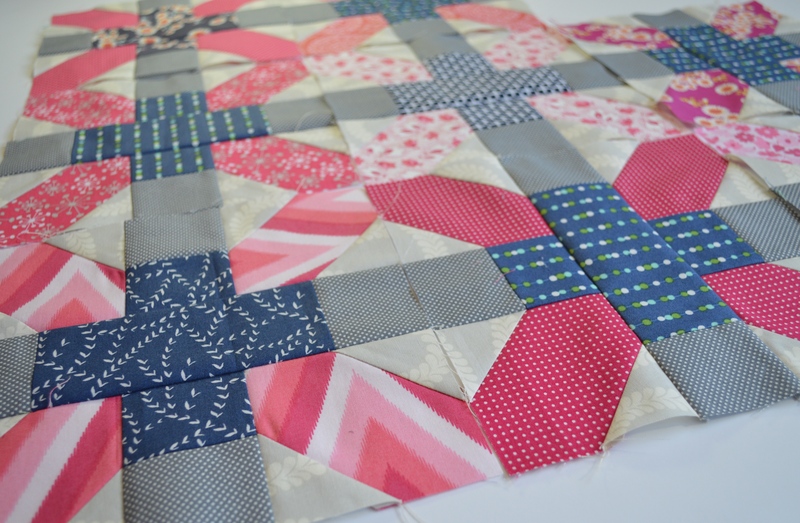 My blocks will alternated pink and green going around the medallion quilt, but I also really like how these pink ones look side by side…would be so fun to do with different color pluses (instead of all blue), or scrappy low volume prints in place of all the cream background and gray squares. Lots of ideas! 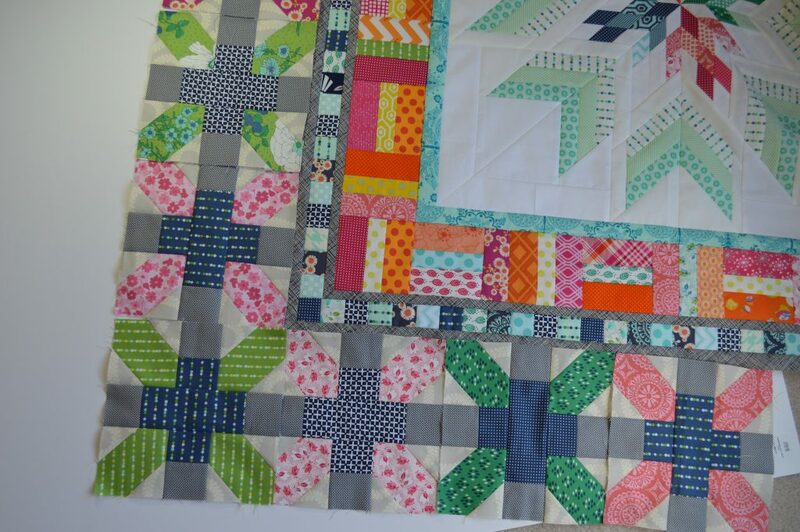 I need to make eight more blocks to finish my border, hopefully get there soon. 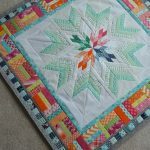 If you are interested, the Aviatrix Medallion pattern is by Elizabeth Hartman and you can buy it Here. just a FYI: I will be posting the April book club blocks next week, followed by the Super Simple Sampler block tutorials. Life is busy! so it will be a week late this month. It sounds like you had a really nice spring break; how wonderful to have the sewing time with your mom and sister! The blocks look great together, and I think you could do wonderful secondary patterns with this block. You have a great eye and attention to detail to pull that off. it was such a perfect visit!!! I cannot wait to make this quilt with just the crosses, it has been on my phone for awhile. LOVE YOU!!!!!! Well done, you’re getting there. This is so beautiful! I like the idea of medallion quilts for the same reason you mentioned 🙂 I haven’t made one this big yet, but someday! Beautiful work. Sharon-I love the colors you used for your quilt. 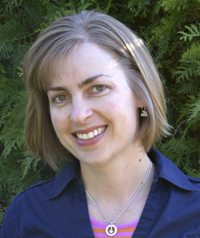 Thanks so much for always sharing with us! These are so pretty. I love medallion quilts, I’ve never made one, but I love how yours is coming along. I think those blocks look great on their own too, I may try them, someday, I see them everywhere! Oh, that really sounds like a dream vacation! I am lucky enough that my husband will take our boys from time to time so I can have a little sewing time. He always says that I am glowing when he comes back! Great WIP and greetings from Germany!